Bhai Charanjit Singh, the Bhai Sahib at Norwalk Gurdwara in Connecticut was diagnosed with Guillain-Barre Syndrome in early September 2018. He was previously the Bhai Sahib at Rochester Hills Gurdwara in Michigan. He is currently bedridden on a breathing/feeding tube with ascending paralysis. He needs everyone blessings right now for his peaceful mind and high spirit and for chardikla. He has three children in high school and college who need our support. Funds will be distributed by Dasvandh Network to a trustee who will primarily directly pay for the major expenses below. Please note - if medical expenses are deferred, forgiven or deemed by financial advisors that they should not be paid, the funds will be used towards the children's college tuition and books. Note as of 12/15/2018 - it appears as though a suitable apartment in their area will cost $1600 / month (vs. $1200 per month) - and we are striving to cover a year of their rent (vs 8 months), so have revised the goal upwards slightly to partially cover these changes. However, we will provide a meaningful update in January once a lease has been signed. Guillain-Barre Syndrome is a problem with your nervous system. It can cause muscle weakness, reflex loss, and numbness or tingling in parts of your body. It can lead to paralysis, which is usually temporary. Most people recover, even those with severe cases. In fact, 85% of people with GBS make a full recovery within 6 to 12 months. Once you get better, the chance of it returning is very small. Guillain-Barre syndrome (GBS) can happen to anyone, but it’s most common in people 50 years old or older. No one’s sure if a germ or virus, like the Zika virus, causes GBS . It could be that some illnesses alter your nerve cells, so your immune system starts to view them as threats. Others think your immune system forgets which cells it shouldn’t attack. It usually shows up a few days or weeks after a cold, stomach virus, or the flu. In rare cases, surgery or vaccinations can trigger it. You may hear your doctor mention “campylobacter.” That’s a type of bacteria associated with GBS. When you have it, your immune system begins attacking your nerve cells. That weakens their ability to send signals to your brain. And your muscles then can’t respond to nerve signals. As a result, your brain gets fewer messages to your body. Guillain-Barre syndrome strikes quickly. You usually feel it first in your arms and legs. You may notice muscle weakness or a “pins and needles” tingling in your hands and feet, which later moves toward your midsection. You may also feel unusually tired. Your reflexes may slow. Some people feel only a mild weakness. Others become almost entirely paralyzed and struggle to swallow or breathe. The family would like to thank the sangat from Michigan and Connecticut for their generosity. The support from over 78 different donors to cover housing, auto and other needs for up to eight months will be of tremendous help. Over the past two weeks, Bhai Sahib has been taken off of the ventilator and is now able to convey his desires. For the time being, they will remain in the Southington, CT area while Bhai Sahib will participate in outpatient rehabilitation. The hope is that he will be released from his current hospital in Demcember or January. So we are now searching for an apartment in the Southington, CT area. We continue to look to support the family for the first eight months in 2019, and by that time we will learn much more. The goal has been updated to add in the car payment so that Bhai Sahib can attend his rehabilitaition sessions and the kids can get to school. We have removed the $700 of miscellaneous charges, as we are focused on this particular fundraiser on the major expenses the family will incur. ~ Inderpal Singh on behalf of the family. 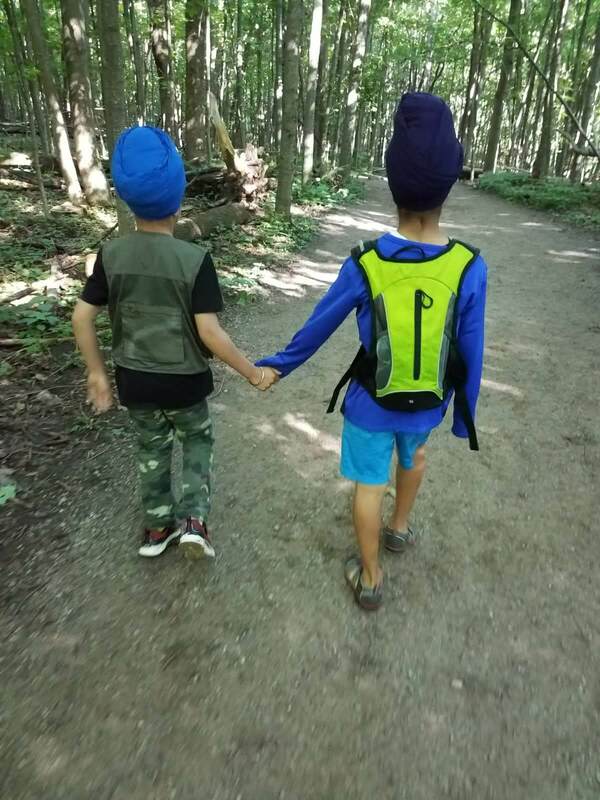 The children will require a place to live until Bhai Sahib returns to them, and for 12+ months after his return he will likely continue to need the Sangat's support for rent. Please consider making a donation to help Support for Bhai Charanjit Singh Jee reach its goal. A donation of any amount goes a long way to support the work being done. Thank you for empowering and fueling the work of the Sikh sangat!